In the 1830s, a young frenchman walked 400 kilometres from his hometown to Paris. He became an apprentice layetier in Paris, packing luggage (trunks) for wealthy travelers. Eventually, he became famous for his craft and was asked to be the layetier for Empress Eugénie. Years later, he opened his own trunk workshop which over several decades, developed into one of the most iconic makers of fine luxury goods in the world. His name was Louis Vuitton. 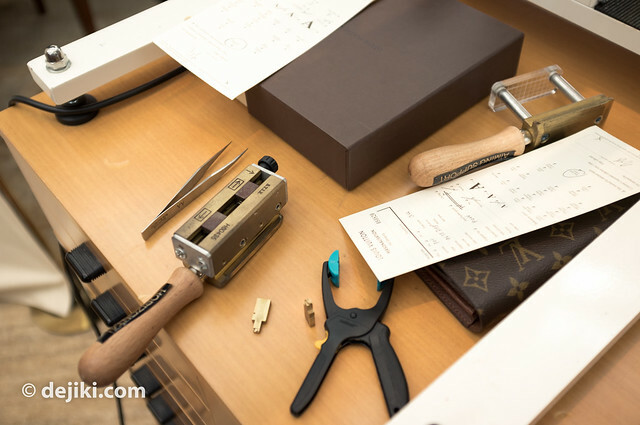 Louis Vuitton’s trunks are produced at their historic workshop at Asnières, together with the top-end range, such as special orders. These hardsided trunks are made by hand by master craftsmen. 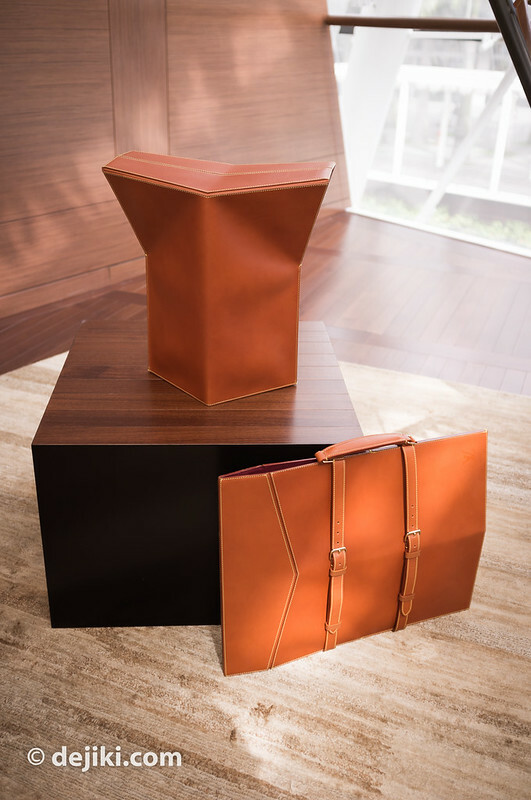 While trunks are not commonly used as luggage today, they are sought by collectors for ornamental purposes or converted to opulent coffee tables. 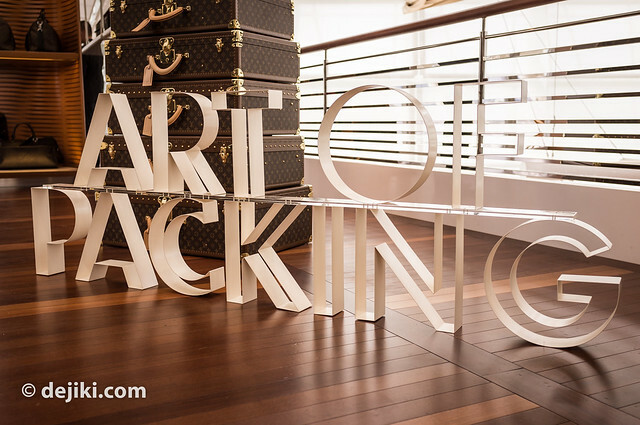 A few months ago, Louis Vuitton unveiled The Art of Packing, an interactive experience filled with expert tips and how-to guides on packing luggage. It is also a travelling installation at select Louis Vuitton stores worldwide. 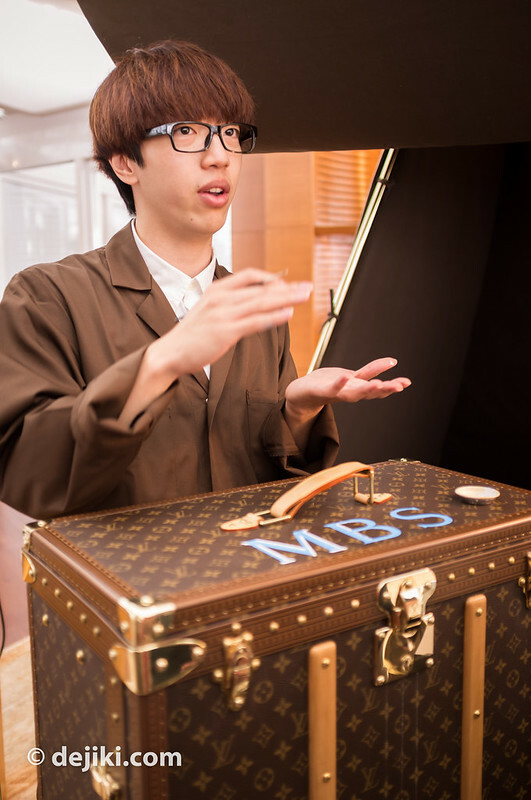 Recently, it visited the Travel Room at Louis Vuitton Island Maison, Marina Bay Sands, Singapore. The highlight of The Art of Packing: meeting Justin, the Master Painter of Asia. Apparently he is the only master painter in Asia (at the moment), and he hails from Hong Kong. He demonstrates how trunk personalization (hand-painting) is achieved. They are really hand-painted onto canvas with an extremely fine brush. Each letter is slowly painted, and several coats of paint is required. The process takes several days. Once it’s done, it lasts forever. 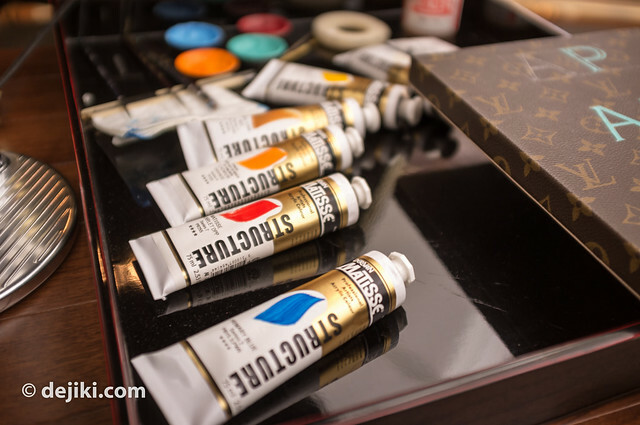 Hardsided luggage can be personalized with hand-painting. 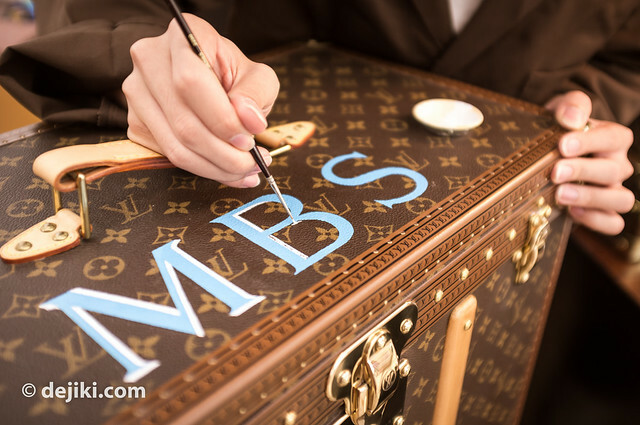 While the actual painting process takes a few days (or weeks for some), ordering a personalized trunk usually takes a few months. 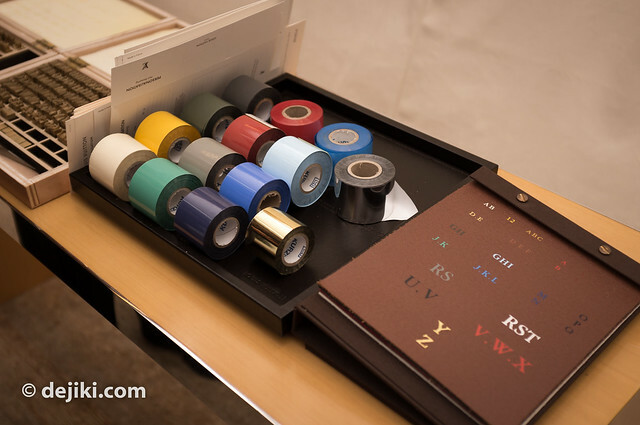 For personalization by hand-painting, initials and stripes are offered. Custom designs, such as Coat of Arms and another insignia, can also be requested, subject to approval by Louis Vuitton. 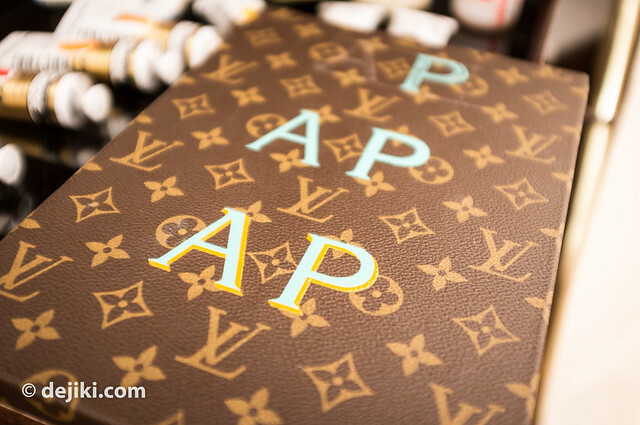 There are other ways to personalize leather goods from Louis Vuitton. Mon Monogram provides a similar personalized look, with initials and colour stripes printed by machine onto the iconic Monogram Canvas. Heat-stamping is the quickest and can be done on most small leather goods. The Island Maison at Marina Bay Sands offers this service. Rolls of foil and sample swatches. 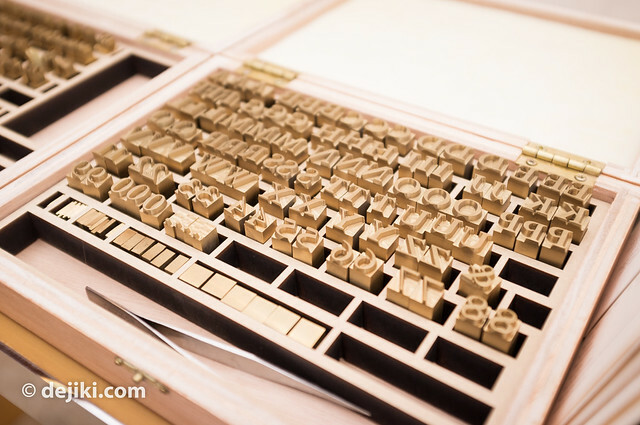 Heat-stamping involves debossing leather with a heated die. The imprint can be left on its own (blind stamp) or filled with coloured foil. Most small leather goods (wallets, card holders, pouches, etc) can be heat-stamped. Some bags (Speedy, Neverfull) may also be personalized this way. 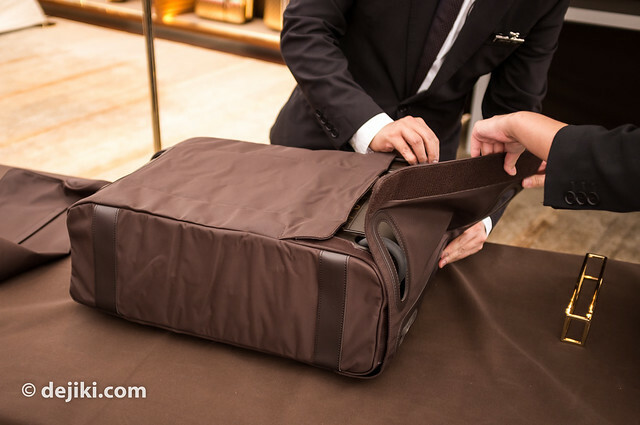 The Pegase (rolling luggage) comes with a sleeve for additional protection or for travelers who wish to be more discreet. There is also a travel line of goods (not sure if it’s LV Cup or just a Travel range) with interesting designs – they could be easily packed and often, folded into itself into a compact, pouch-like form. Over here the staff demonstrated how the fabric is water repellant. Also on display at the Travel Room for a few months now: The Objets Nomades collection. This collection was first made available at Island Maison. I think it’s also available the Louis Vuitton Taipei 101 Maison now. The collection is a design collaboration with designers and artists. 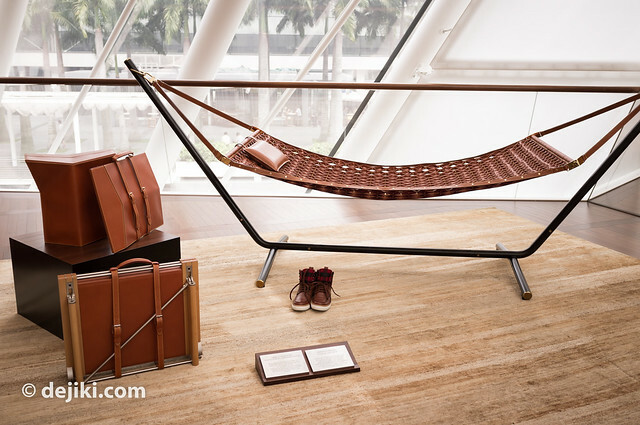 It currently has three pieces, made for travel: A travel desk (designed by Christian Liaigre), hammock, and foldable stool (both designed by Atelier Oï). The foldable stool can be folded into a portfolio. 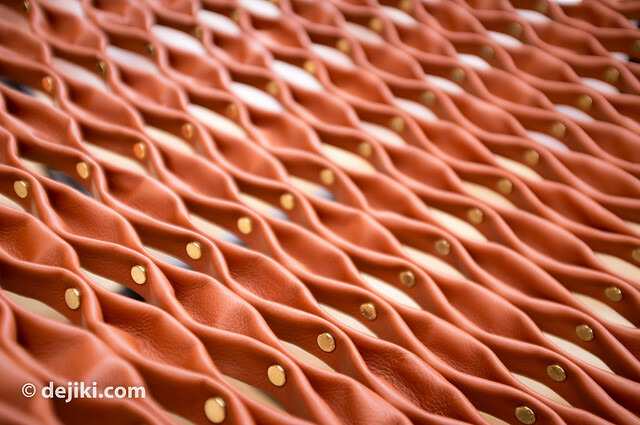 The hammock consists of several strips of woven leather, connected with rivets. The Art of Packing at Island Maison ends today (25/11/2012). Packing demos can still be viewed online. The Objets Nomades and travel goods can be viewed at the Island Maison at any time. Ah thanks for the information. LV is like the equivalent name for luxury goods in China. Most people have little knowledge about this industry but they see LV retailers setting up in almost every major city. It has become a way of showing off, even for less wealthy families. I personally find it disturbing. Major luxury brands have been expanding aggressively in China, as the country is a rising economic superpower. The “Little Emperor Effect” also has tremendous socio-culutural implications – people are more willing to spend, whether it’s for themselves or for their loved ones. Just like anywhere else, some have developed the habit of purchasing items for what it represents, such as affluence, class, style – Rather than for what an item actually is: design, quality and workmanship. This has also caused higher demand for personalized products, even for non-luxury goods (thus essentially, making these items a luxury to own). From what I know, LV is no longer the most popular brand in China (because it was too popular and hence, the “spirit of luxury” is lost), despite the fact that the Chinese market has actually shaped some of their product lines – there are products designed towards the Chinese customers’ preferences. Maybe I’ll write about it some day. In terms of sales, LV may not be the biggest brand. But the term LV has become a representation of the industry for Chinese. I am not familiar with the industry, but I will be happy to learn more about it.